With the development of all sorts of cameras, the photos all around us everywhere, Lost photo is also increasing. when the memorable photos and videos of lost, I think should of course want to back, at this time we would expect to find a reliable data recovery center recover our lost photo, but it will probably take us hundreds of thousands of dollars of expensive costs. As such, we have developed a deep and efficient free software dedicated to the recovery of photos and videos. 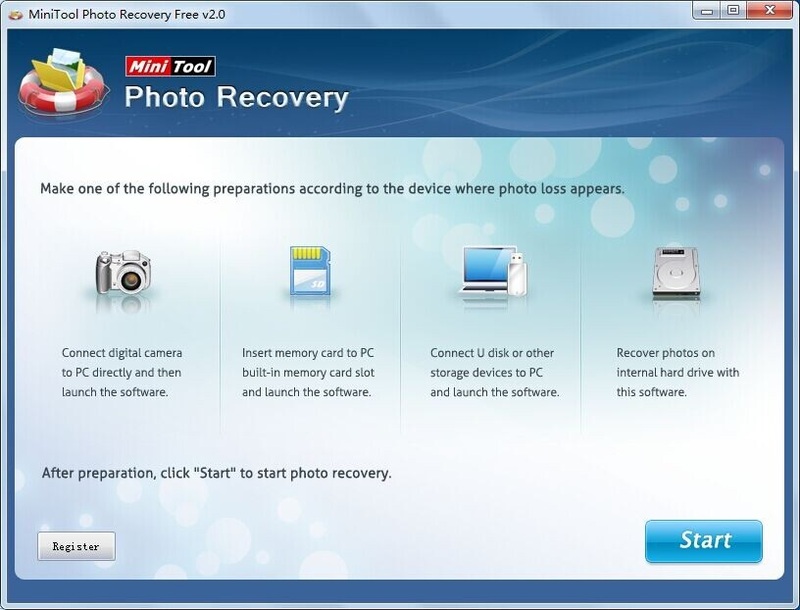 MiniTool photo recovery software is designed with free but outstanding photo recovery solutions, which can help recover lost photos from different types of digital cameras as well as storage devices. 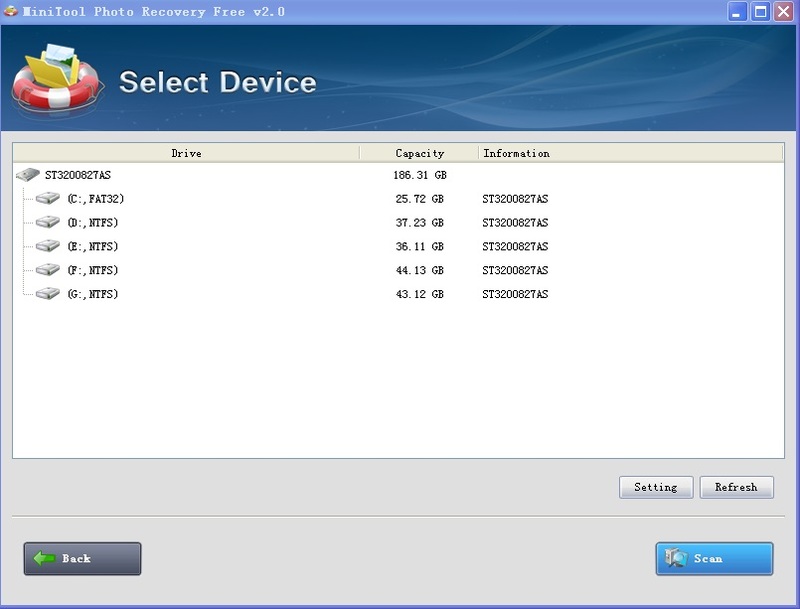 Apart from photo recovery, it also supports video recovery, audio recovery, and other media file recovery. On different operating platforms, MiniTool offers different photo recovery apps. Ongoing access: Previous scans remain available for reloading through the app, so if you realize there’s something you want to go back and find on a device you’ve scanned before, you don’t have to start a brand new scan over again. Setting: This function can help to set the types of files needing recovering before scanning. Targeted scan contributes to seeking data promptly and accurately. Filter: Filtering data to be recovered via parameters such as filename/extension and size so as to find files rapidly. Preview: Files less than 20M are available to preview. With preview, users can find desired data more accurately. 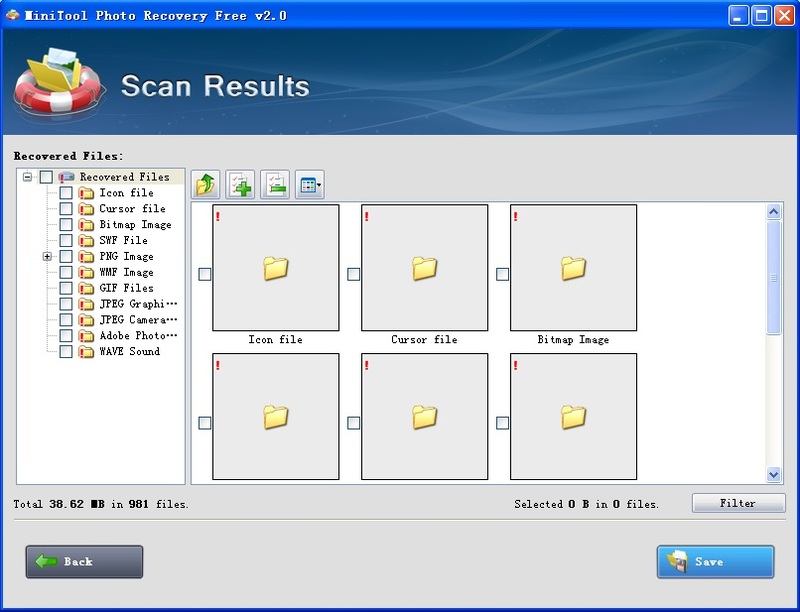 Saving scan result automatically: being unnecessary to rescan storage device, users can load previous scanning results and free recover lost photos directly. It Support Windows 8.1 /8 /7 /Vista /XP along with Windows Server 2003 /2008 /2012. OS: Windows 8.1/8/7/Vista/XP along with Windows Server 2003/2008/2012, etc. Related to "About MiniTool Photo Recovery 2.0 Review"